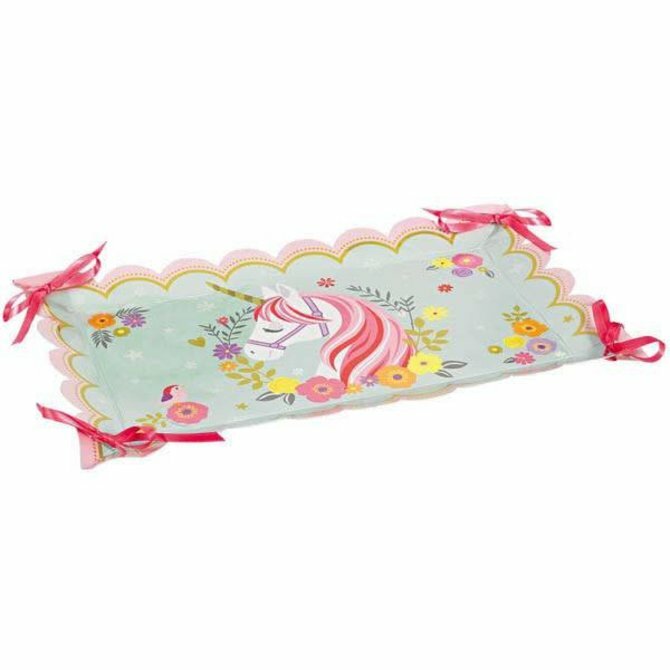 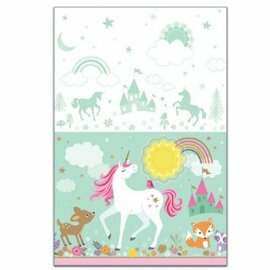 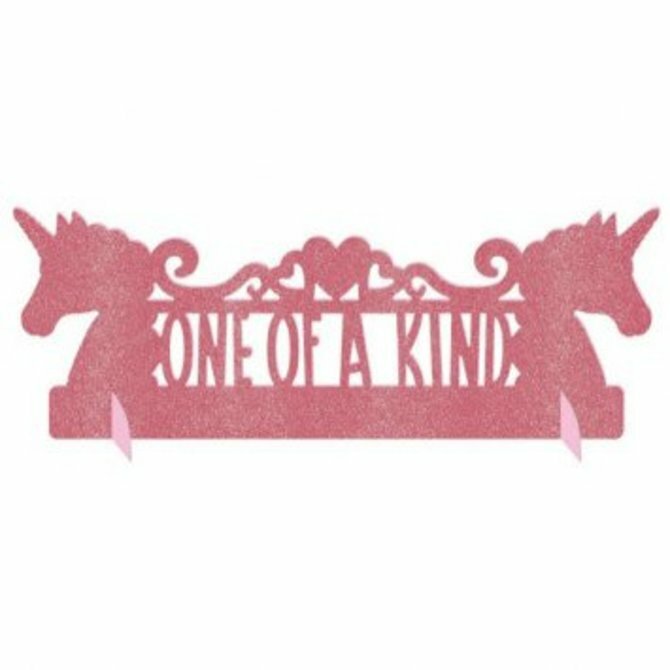 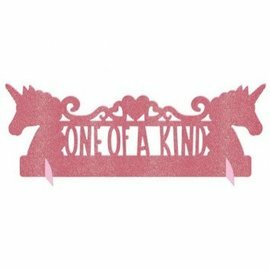 Magical Unicorn Paper Tray With Ribbon 2ct. 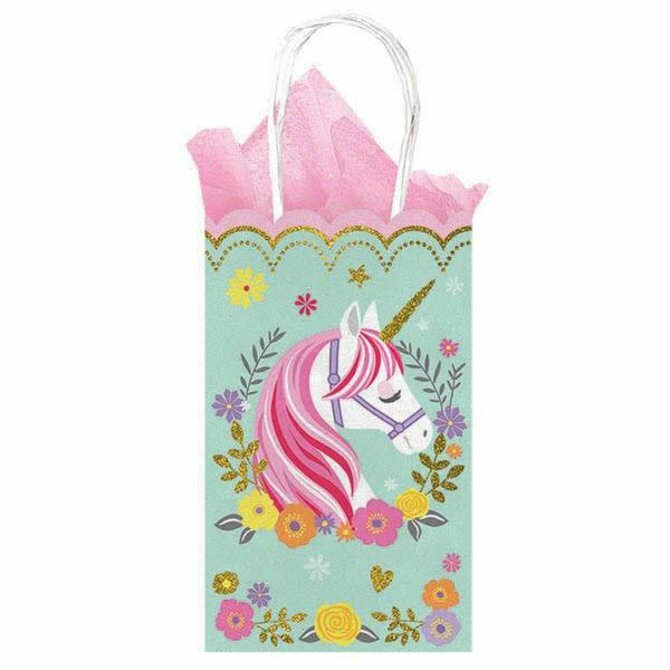 Magical Unicorn Glitter Small Cub Bags 10ct. 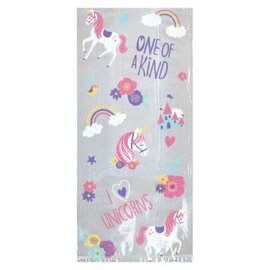 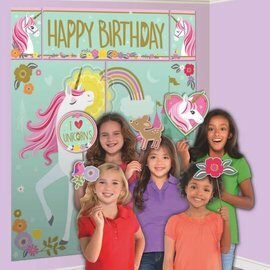 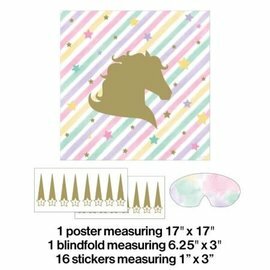 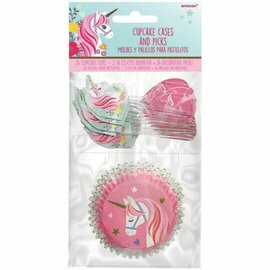 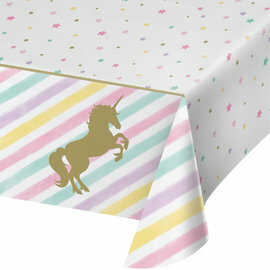 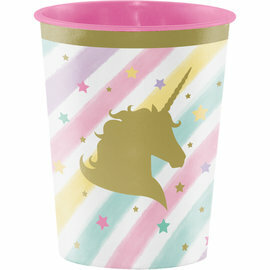 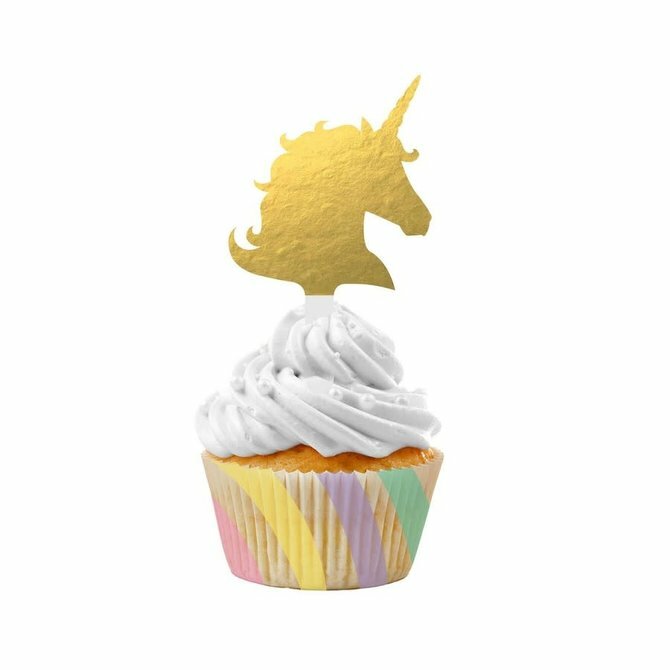 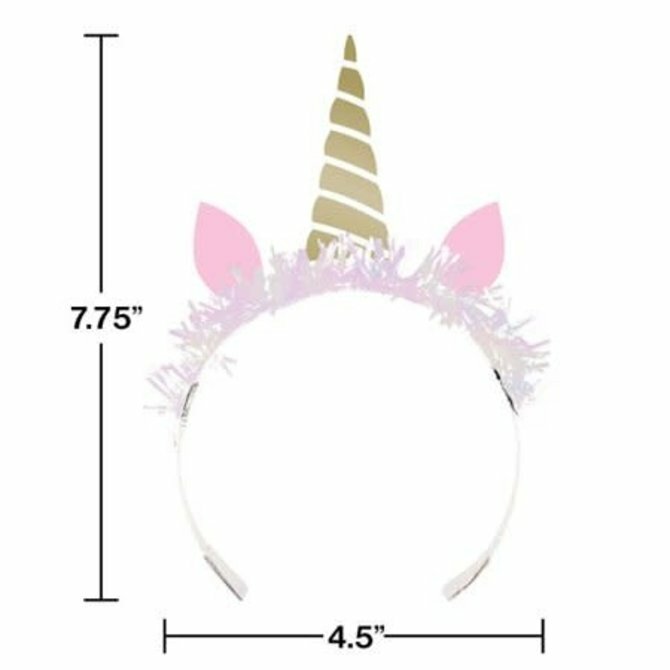 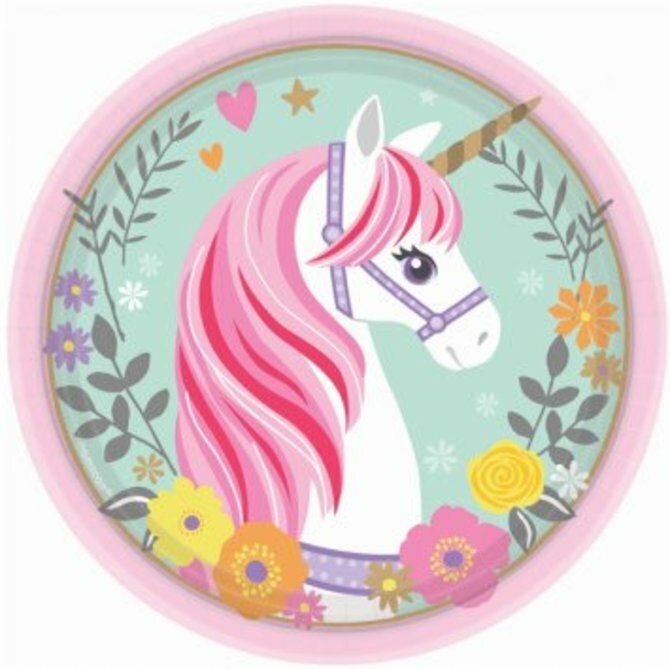 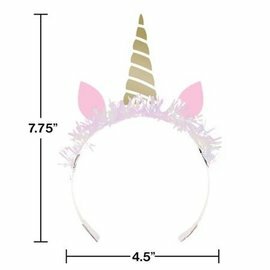 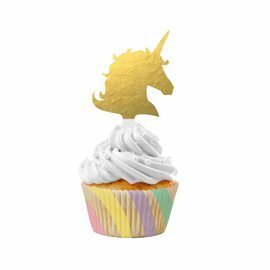 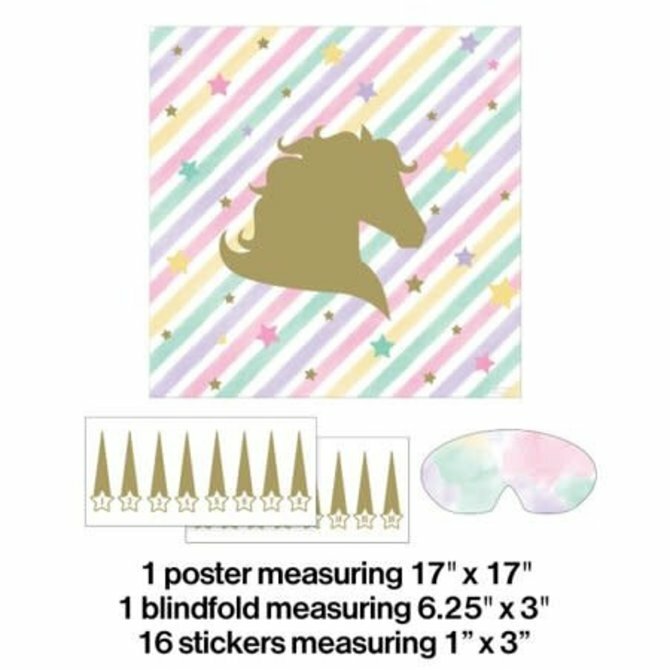 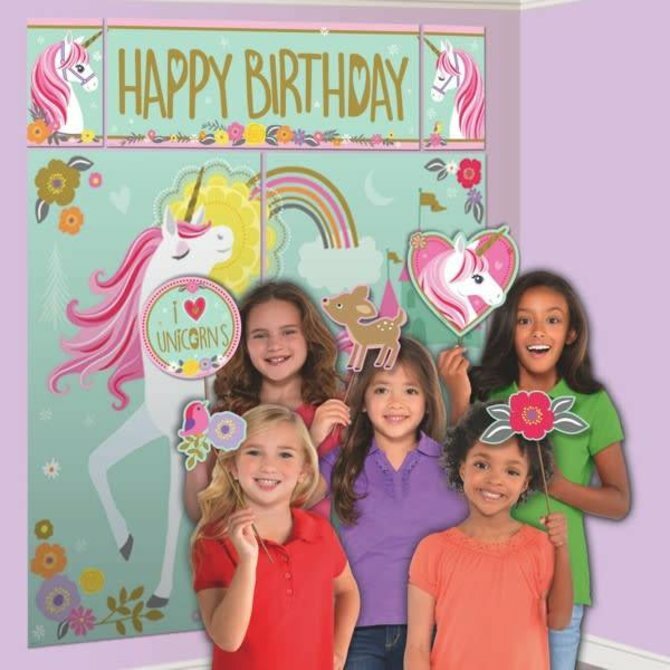 Unicorn Sparkle Plastic Table Cover, 54" x 102"
Magical Unicorn Cupcake Cases & Picks 24ct. 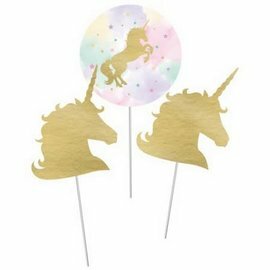 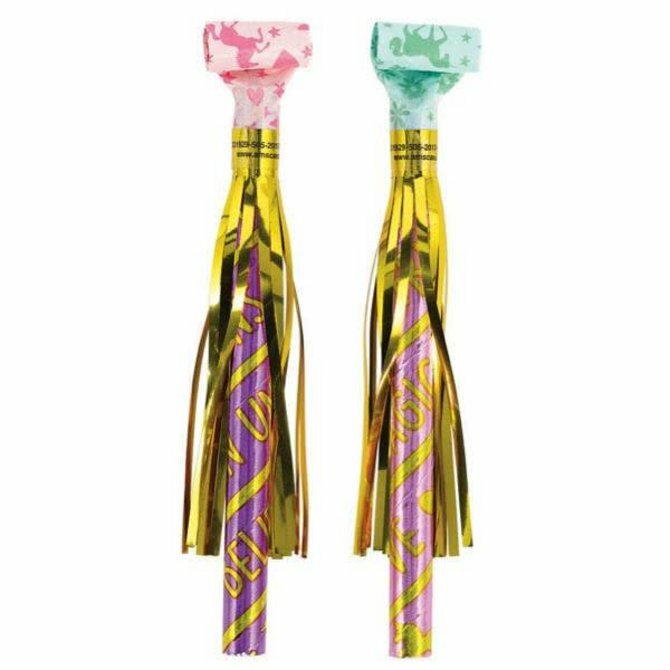 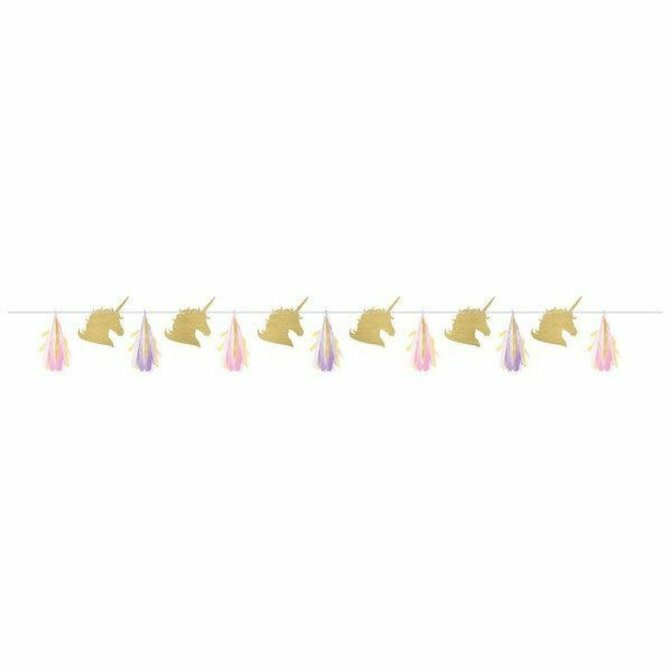 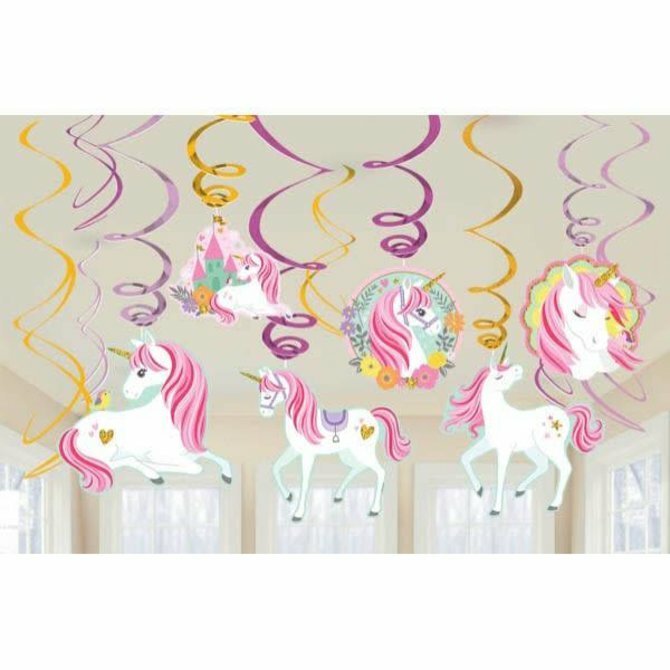 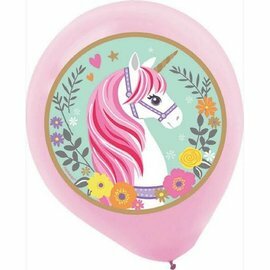 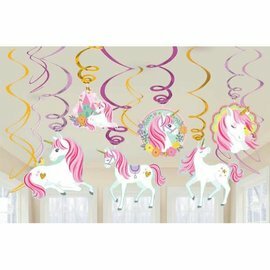 Magical Unicorn Latex Balloons, 5ct. 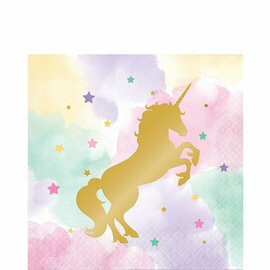 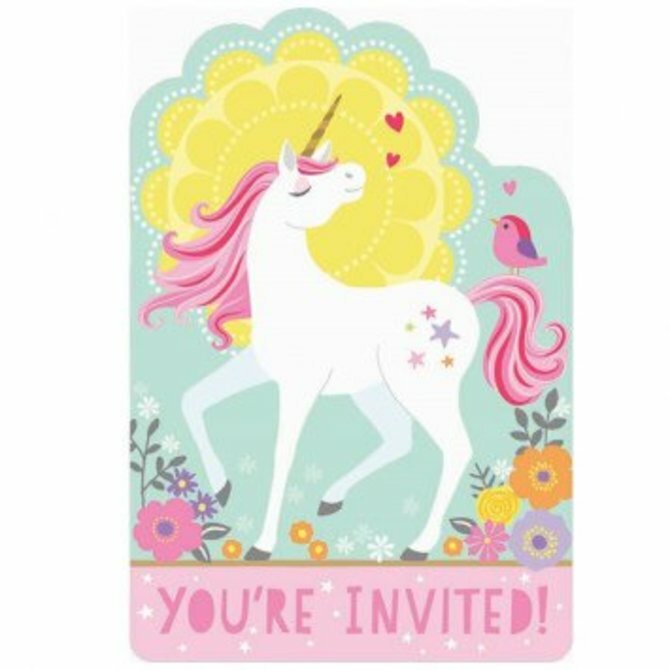 Magical Unicorn Postcard Invitations 8ct. 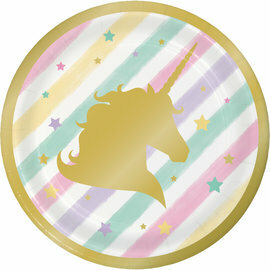 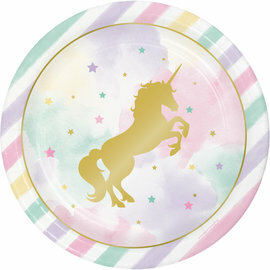 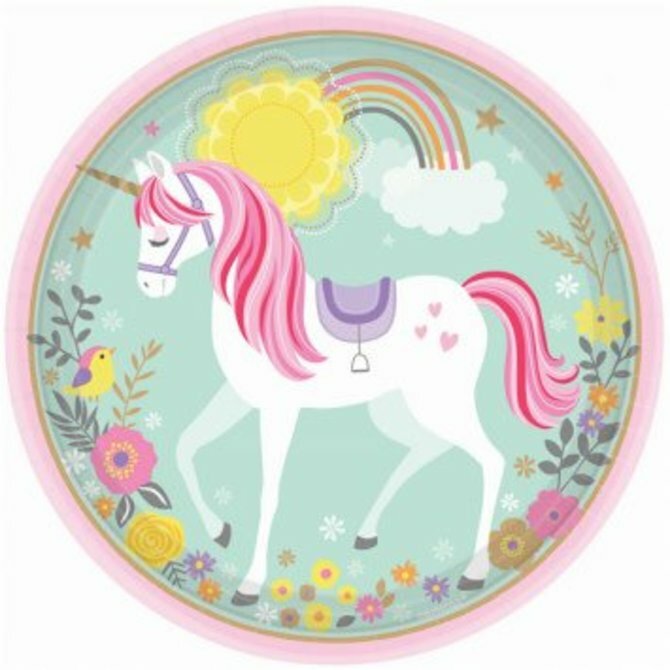 Magical Unicorn Round Plates, 9" 8ct.